All EnSync Learning events can be structured into 3 types according to your request: Modules, Workshops & Programs. Each module is designed to be 90-minute, self-contained microlearning sessions and focuses on only one learning objective. This is to cater to the increasing demand for quick, straight-to-the-point learning. 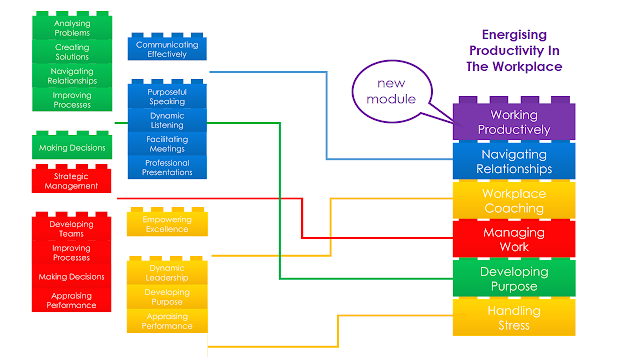 These modules can be delivered during Lunch & Learn sessions, or end of day Skills Sharpeners. The magic happens when these modules are sequenced together to create themed-workshops that cater to typical learning objectives. Let's take 4 of our best selling workshops as examples: SPEED, MODE, CLEAR & LEAP. It's clear that each workshop is made up of 6 modules, typically conducted over 2 days. Imagine reducing 2 modules to create a 1-day workshop or adding 4 modules to create a 3-day workshop. The possibilities are endless! In fact, one common possibility has to do with a recurring client request to customise our workshops to fit their people's requirements. For example, if they have already gone for similar training, we can certainly remove those modules and you can choose our other modules to replace them. Essentially, you get a unique workshop! Take it one step further and choose from our list of modules and build your own workshop with our consult. Then, we'll design brand new modules to tie your selection together into a coherent theme. 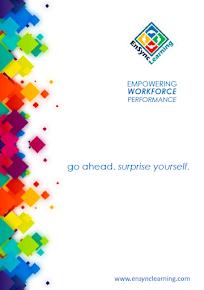 By the way, "Energising Productivity In The Workplace" isn't a real workshop we run, but what's stopping you from asking us to? By now, it should make sense that when you put together modules, you get workshops. But what happens when you put together workshops? Well, you get a Professional Development Program that is aimed at equipping your people with skills to become leaders in your organisation. 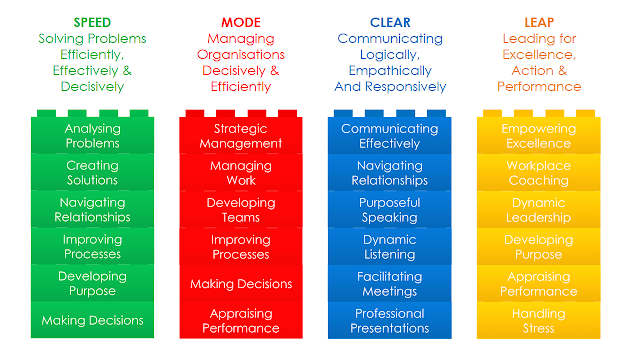 We have some recommended Development Tracks that we believe deliver the most value towards developing your people as star Negotiators, Presenters, Learning Facilitators, Leaders, Team Builders & Business Developers. However, we are open to working with you to put together the most appropriate programs for your people, and since all our modules are, well, modular, you can influence the design of the program from the bottom-up. If you like what you see, then email us at nadzrin@ensynclearning.com or WhatsApp +6016 3085 789 and let's talk about how we can help.